Bài học Listen Unit 7 Lớp 9 - Saving energy hướng dẫn các em nghe và tìm kiếm thông tin để hoàn thành nội dung bài. 1. Solar energy can be cheap and clean. 2. Most of our electricity now comes from nuclear power. 3. The solar energy that gets to the Earth cannot provide enough power for the world's population. 4. Solar energy can be used on cloudy days. 5. All buildings in Sweden will be heated by solar energy in 2050. => Most of our electricity now comes from the use of coal, and gas, oil or nuclear power. => One percent of the solar energy that reaches the earth is enough to provide power for the total population. 5. (F)=> One percent of the solar energy that reaches the earth is enough to provide power for the total population. => All buildings in Sweden will be heated by solar energy by the year 2015. 1. The sun can be an _______ source of power. 2. Solar energy doesn't cause _________. 3. A lot of _______ in the world are already using solar energy. 4. It is possible to ______ solar energy for a number of days. 5. Solar panels are installed on the _______ of a house to receive the energy from the sun. 6. We can save natural resources by using solar energy ______ of coal, gas, and oil. 1. The sun can be an effective source of power. 2. Solar energy doesn't cause pollution. 3. A lot of countries in the world are already using solar energy. 4. It is possible to store solar energy for a number of days. 5. Solar panels are installed on the roof of a house to receive the energy from the sun. 6. We can save natural resources by using solar energy instead of coal, gas, and oil. Are you looking for a cheap, clean, effective source of power that doesn’t cause pollution or waste natural resources? Look no further than solar energy from our sun. At present , most of our electricity comes from the use of coal, gas, oil, or nuclear power. This power could be provided by the sun. One percent pf the solar energy that reaches the Earth is enough to provide for the total population. Many countries are already using solar energy. Solar panels are placed on the roof of a house and the sun’s energy is used to heat water. The energy can stored for a number of days, so on cloudy days you can use solar energy too. Sweden has an advanced solar energy program. There, all buildings will be heated by solar energy and cars will use solar power instead of gas by the year 2015. 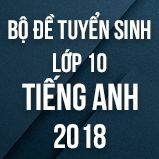 Trên đây là nội dung bài học Unit 7 tiếng Anh lớp 9 phần Listen, trong quá trình học bài và thực hành nghe hiểu có điểm nào chưa hiểu các em có thể đặt câu hỏi trong mục Hỏi đáp để được sự hỗ trợ từ cộng đồng HỌC247. Chúc các em học tốt!